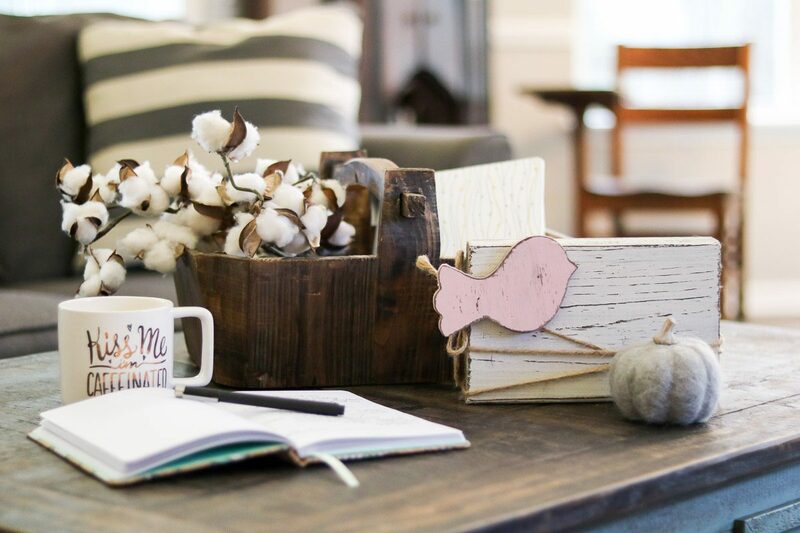 Today’s cotton decor tips post is packed with fun ideas for your home. 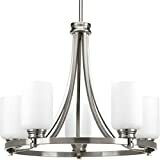 Whether you like the look of cotton in your decorating or you have another signature item to your design this post will give you some great ideas. 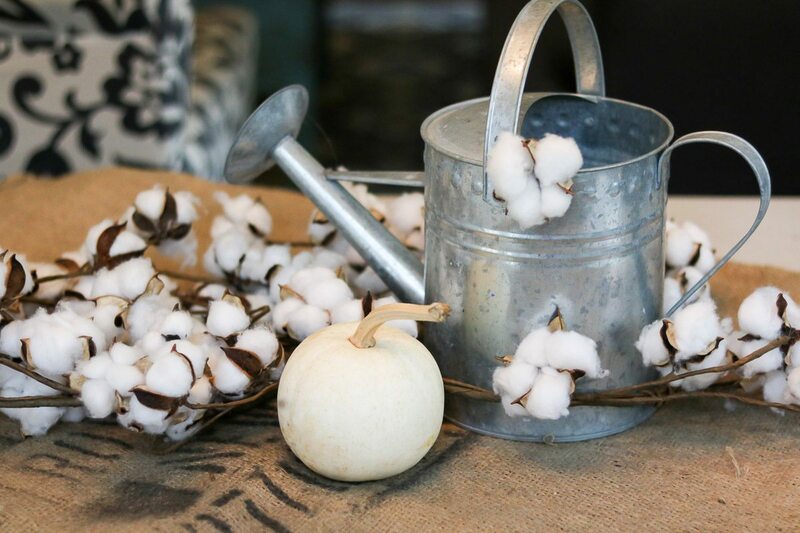 Sit back and enjoy as we tour this lover of cotton’s home. 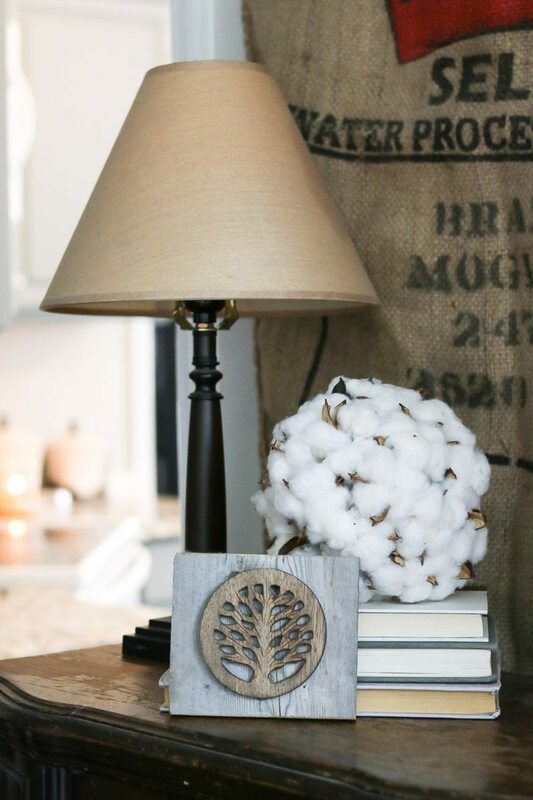 Cotton decor tips and ideas are all over this house. We are so glad this family allowed us to take you on a tour of their home. But we have to confess that to give you some extra ideas we took some of her existing cotton pieces and moved them around to provide you with an additional idea. We will reveal those changes as we go. 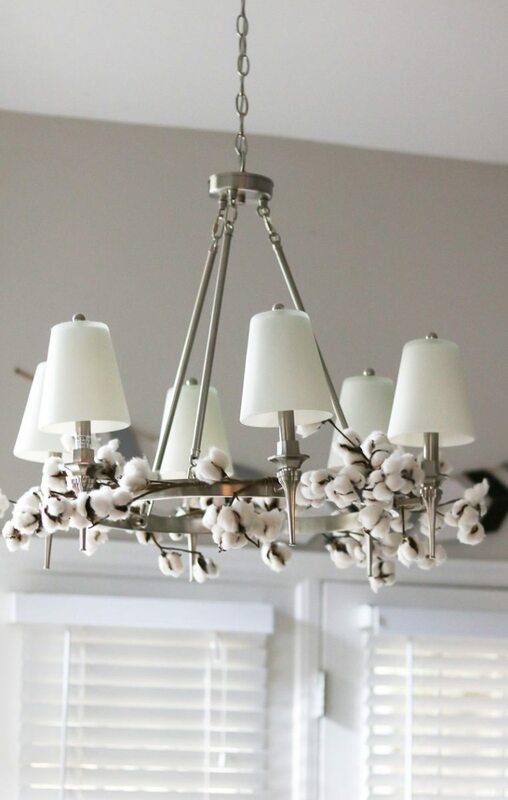 Decorating with old fashioned items makes a house much warmer and inviting. Decorating with vintage scales or chicken nesting boxes bring a lot of character. Well, can you believe we are already starting with our first confession? This family doesn’t even have a centerpiece, but we thought giving you an idea here would be a great place to start. 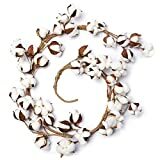 Just use a cotton swag which you can easily find on Amazon or at the Hobby Lobby store. Bend it into the shape you want and add some additional pieces like this galvanized watering can and a beautiful pumpkin. 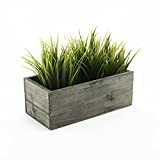 CYS Excel Rustic Planter Box, 15 Sizes Available, Wood Planter, Decorative Box, Succulent and Floral Arrangements, Indoor Use Wood Box with Removable Plastic Liner, Wedding DÉCOR H:4" Open:10x5"
Does this look familiar? It’s the intro photo at the top. This table was already designed by the owner. 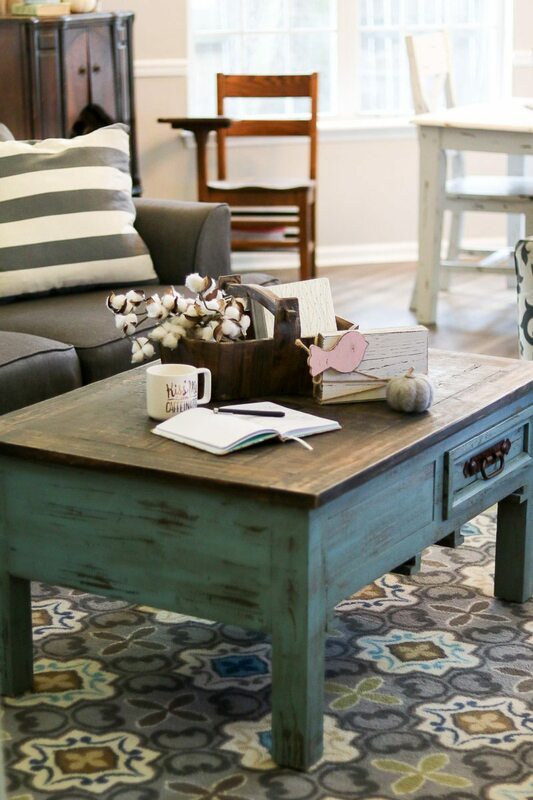 Isn’t this such a warm and cozy looking coffee table? 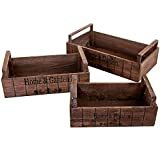 Find a farmhouse style basket either wooden or straw and add some cotton stems. Again, it’s that simple! There are so many things you can do with a fireplace. 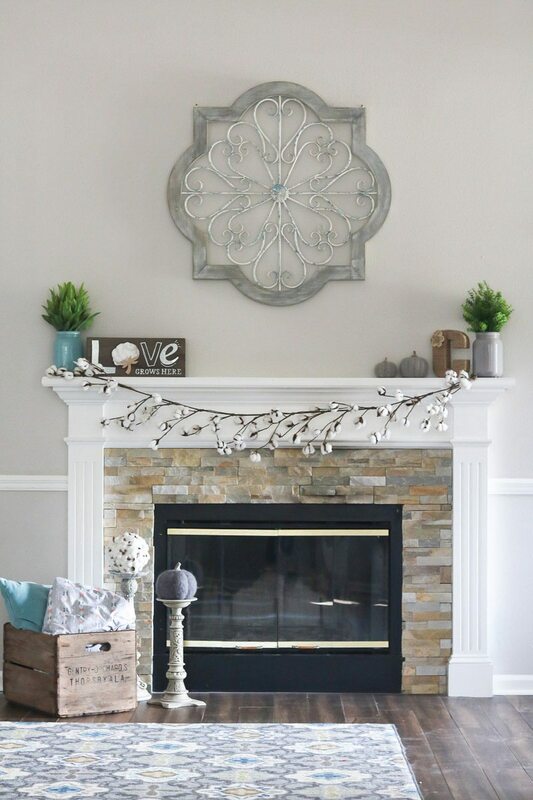 Not only do you have the mantle to decorate but you can put accessories down on the floor. 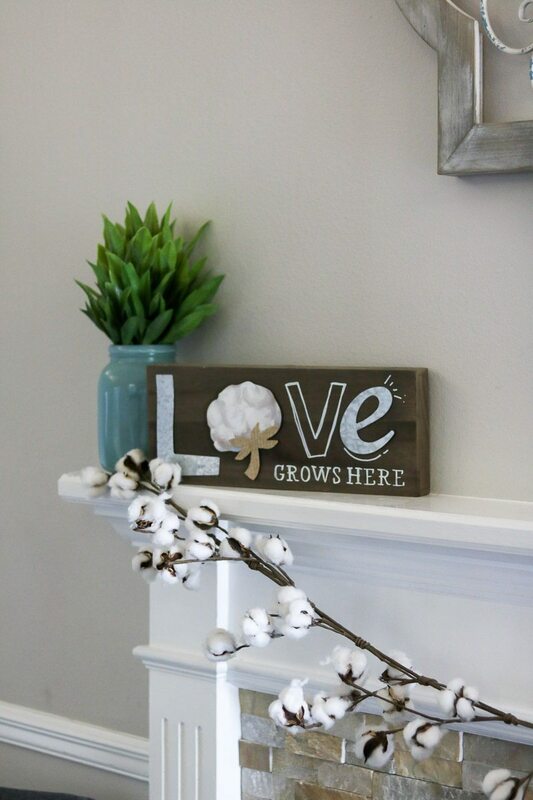 In this house, the owner has the cutest sign that has a cotton detail on it. The message warms anyone’s heart who enters. But you don’t have to stop there with your cotton accessories. 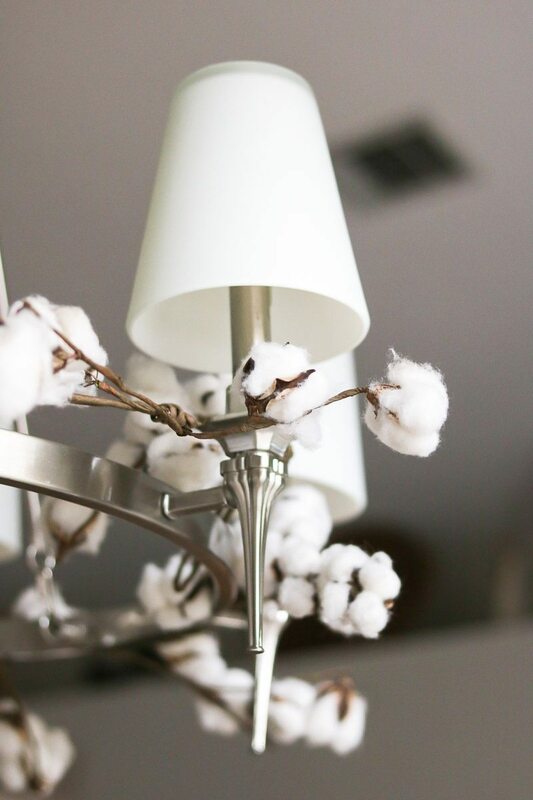 With these cotton decor tips, you can also add a garland to the design and then throw in a cotton ball on an over-sized candlestick holder on the floor. Repetition is one of the elements and principles of design. This family used that technique nicely! Here is another cotton decor tip that we created in a matter of minutes. We took the garland off the mantle and added it to the chandelier. 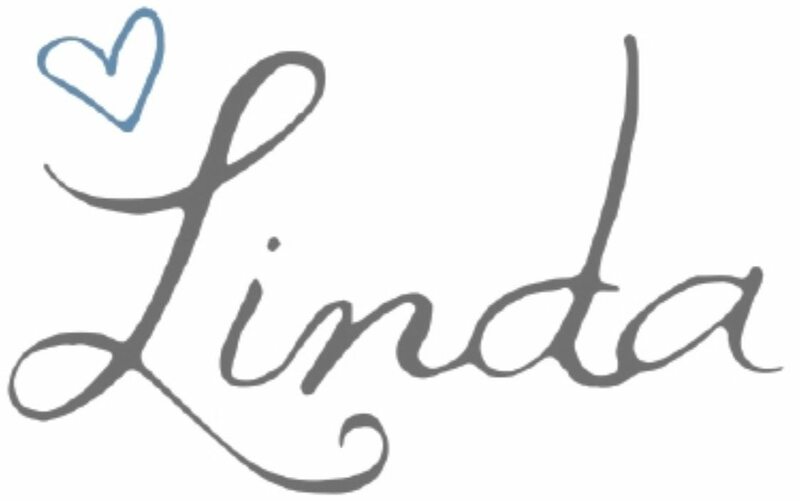 We loved how it turned out, and it is simple to do. Because the cotton garland is bendable, it was easy to twist it around, so it sat nicely on the chandelier. 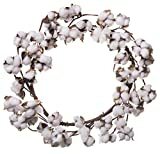 Just when you think you have run out of ideas for accessorizing with cotton, you will find one more place. The big cotton ball is an easy item to move around. This family already had an adorable wooden decorative piece on the wall, so we borrowed it just for this accent table. Find some books with white or neutral binding and turn them around, so the books are not too busy with the cotton ball. Add your small piece of art, and there you have it. So, at the last minute, we decided to make a wreath with the cotton garland from the mantle. It was easy to twist into a round shape, but we felt it looked a little bare. 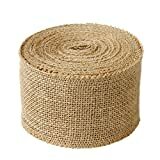 So we added this burlap ribbon, and it gave it that perfect added touch. Here is a side note or tip, we used a rubber band to attach the ribbon to the cotton sticks. There was no glue used in making this. We took it down and placed it back on the mantle when finished. 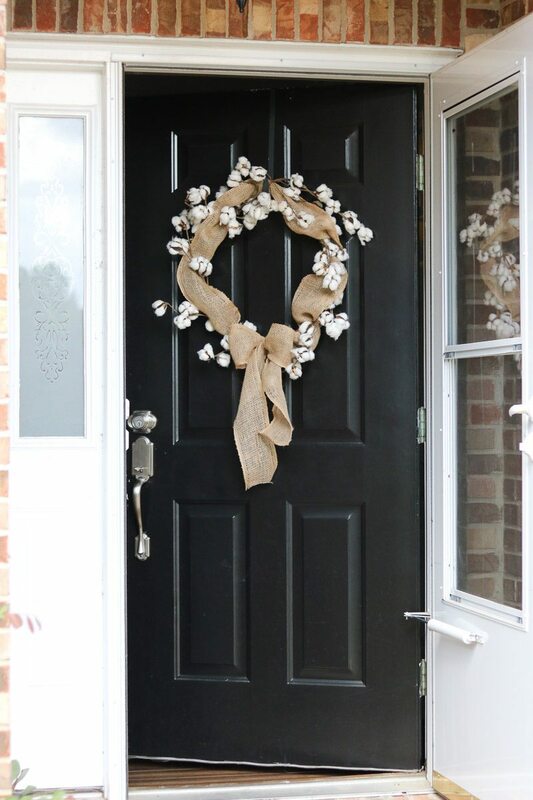 If your considering building one to stay on your door permanently, I would suggest securing everything with a glue gun. 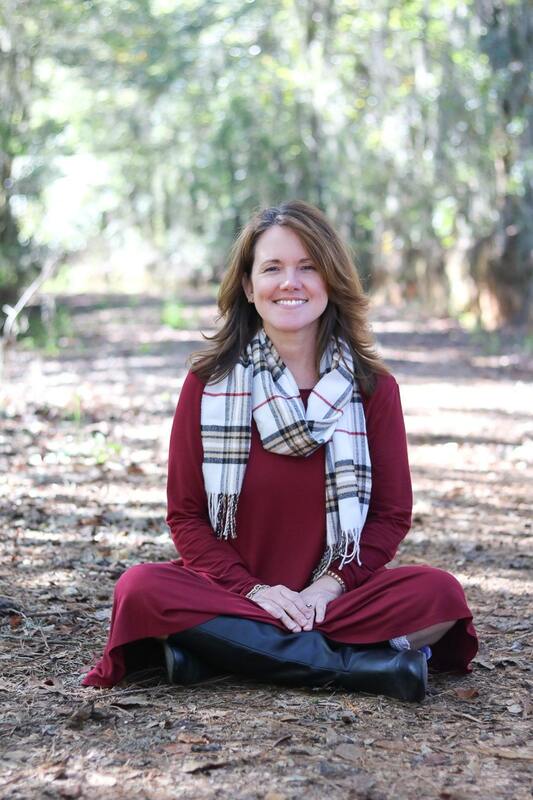 What a pleasure it was to get to visit this farmhouse-style home and to get to share it with you. 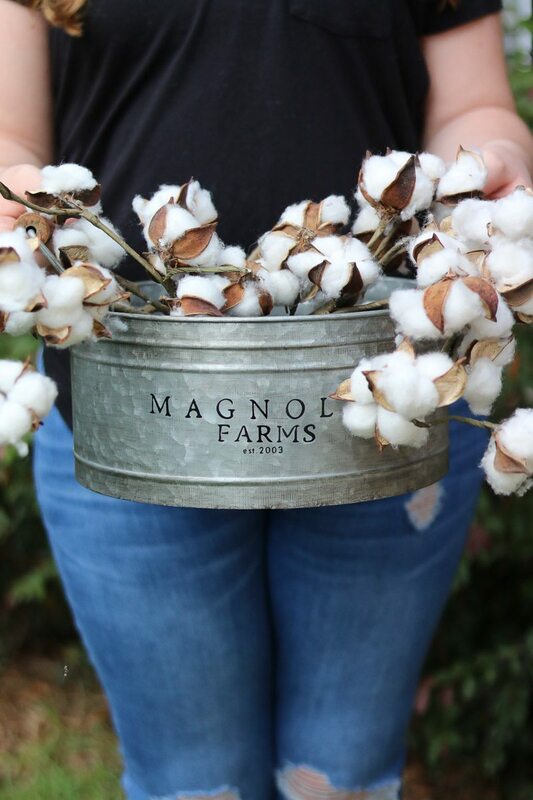 While taking the photos outside of the door, their daughter lets me snag a picture of her holding this tin bowl with the cotton in it. I love all the pictures of the house, but I think this one is my favorite. 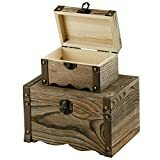 Plus here’s another thing you could put your cotton in and find a special place for it in your home. 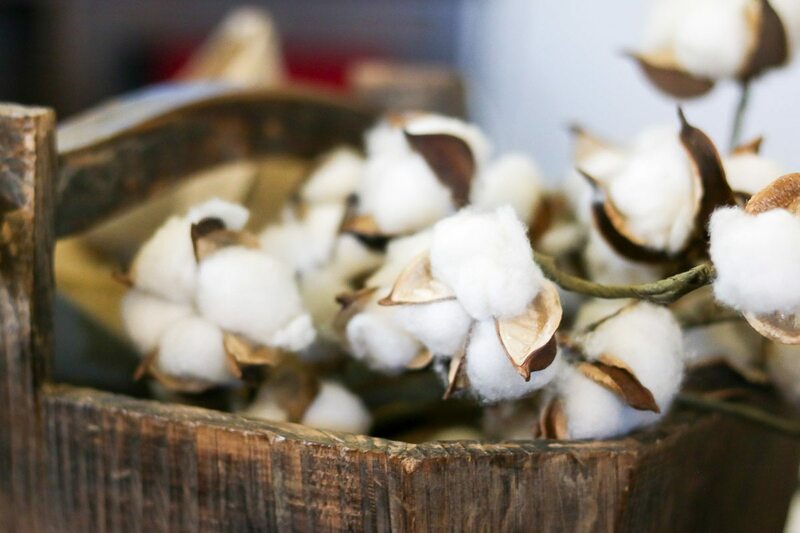 So, here are the many places you can add cotton decor to your home. 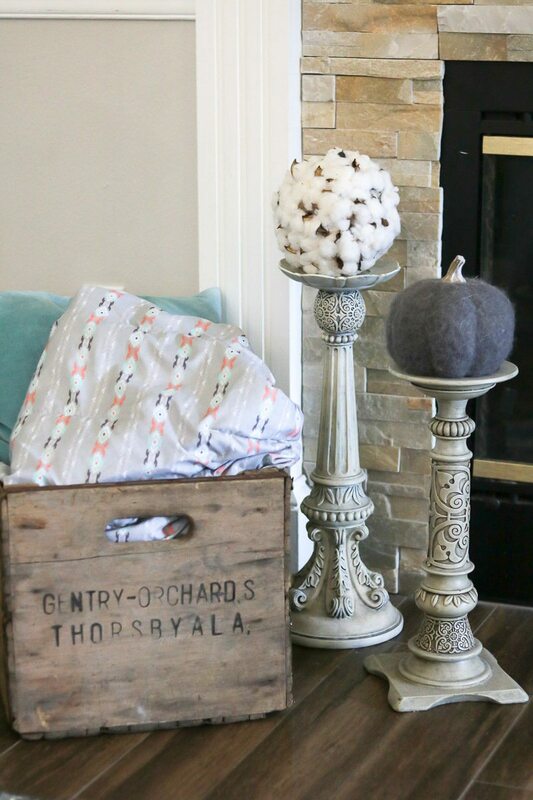 Now that you have some suggestions on where to put your cotton check out my fall tiered tray post and tiered trays round up for your fall for other great cotton decorating ideas. 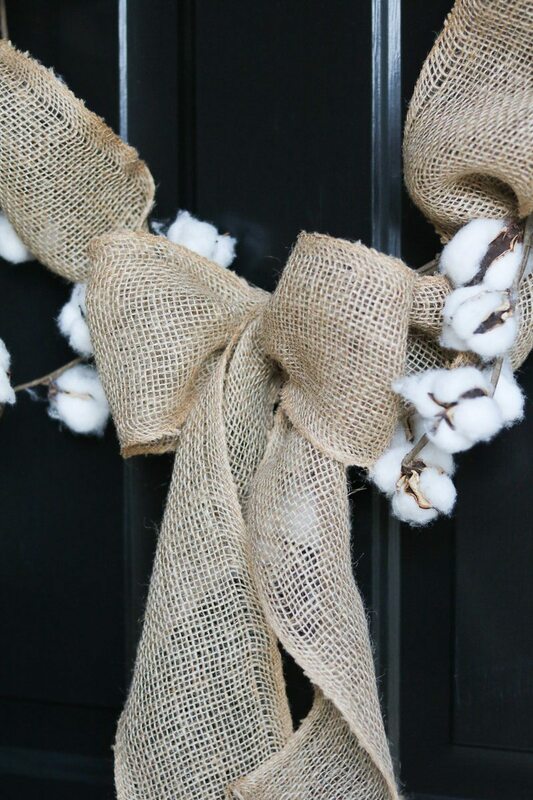 I would have never thought to use cotton as a decoration but it’s very pretty. I’m not sure about on the lamp, because of safety concerns, but all the others are cool.